The Zone3 Lava range spares absolutely no expense to ensure you race your best by providing you with the very latest in fabrics, technologies and engineering. 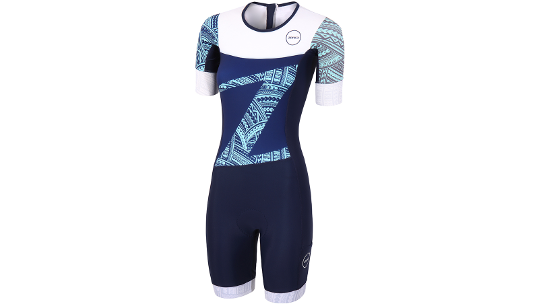 The Women's Lava short-sleeved aero TriSuit has been designed for the mid to long distance athletes racing anywhere from 70.3 to the full IronMan distance. Built with Aeroforce Soft-touch fabric which comes with a repellent water-coating that minimises water absorption from sweat and the swim, the fabric offers a full 360 degrees of movement to make sure there is nothing restricting you from top speed. As well as this compression technology found in the legs reduces the build-up of lactic acid so that you can race faster for longer and also recover quicker. 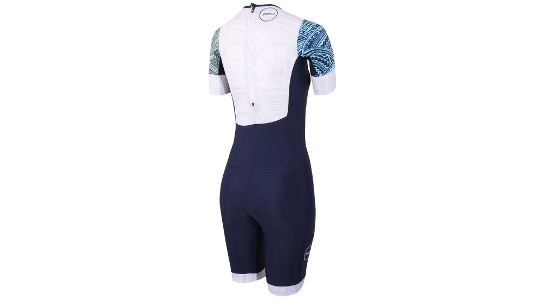 Nutrition storage is found with pockets on each leg as well as two large pockets on the back of the suit and Zone3 have assured chamois comfort with an Italian premium Iron-pad design which is unique for Women and provides long-lasting comfort. Provided through the legs thanks to a carefully designed panel shape and the high denier rating of the Sensory fabric. This improves muscle support and helps to increase the blood flow away from the legs, therefore reducing the amount of lactic acid build up and helping to improve endurance and stamina. Laser-cut short sleeves for improved aerodynamics, bicep muscle support and increased protection from UV rays. Designed by Cytech, one of the World͛s leading pad manufacturers in Italy. Probably one of the most important aspects of racing this distance is being comfortable on the saddle. Perforated pad lamination delivers supreme breathability and quick drying capabilities. The high-density foam gives more padding and protection when cycling and the central channelling in the perineal area is designed to offset pressure points. The high level of elasticity in the pad also maximises freedom of movement when swimming and running. Described by 220 Magazine as being “remarkably good on the saddle”. Provided on each side of the legs and nice big pockets on the back to stock up on nutrition and make it easy to access whilst on the bike or run. New, ultra soft wide grippers give even pressure distribution and added comfort to the silicone style grippers. These are stitched to the bottom of the leg material rather than inside to create a more comfortable fit and do a fantastic job of preventing any movement during the cycle and run. Provided throughout the body and neck together with slightly wider shoulder panels for increased protection from the sun. 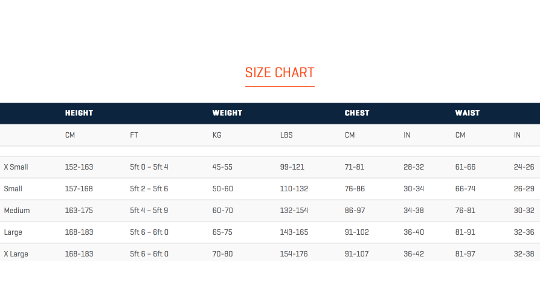 Elastic-binding gives a snug fit without any discomfort around the arms and necklines. Also, new seam construction to prevent any chafing under the arm. Designed for maximum strength and minimum discomfort against the skin. Soft fabrics are used to cover the inside of the zipper and this is combined with ‘fold over’ cover to minimise any discomfort from the zip on the chest. The suit offers all over comfort combined with performance during all three disciplines. If you’re taking on a long distance race this season then we hope this will be the perfect suit. Please also see our Trisuit or top and short options.